Republican presidential candidate and retired neurosurgeon Ben Carson clarified remarks made over the weekend about whether or not he would support the election of a Muslim president, stating that if the candidate placed the U.S. Constitution over his religion, he would be willing to back them. “I would not advocate that we put a Muslim in charge of this nation. I absolutely would not agree with that,” he stated. Carson had been asked by host Chuck Todd whether religion plays a factor in electing the nation’s leader. Todd then asked Carson whether he believes Islam is consistent with the Constitution. However, he stated that he is more lenient when it comes to Muslims holding a position in Congress. But on Monday, several of Carson’s Republican presidential co-runners criticized his comments, including Florida Senator Marco Rubio and former Florida Gov. Jeb Bush. “I don’t believe anybody should be disqualified from the presidency because of their denomination or because of their faith,” Rubio stated. On Monday, Carson took to Facebook to express frustration. Carson also further provided clarification to reporters Monday night and Tuesday, stating that if a Muslim places the Constitution above their religion and is willing to conform to the American way of life, he would be supportive of their election. 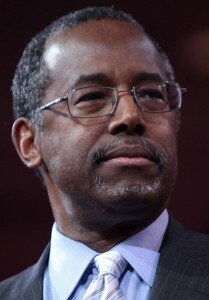 “Now, if someone has a Muslim background, and they’re willing to reject those tenets and to accept the way of life that we have, and clearly will swear to place our Constitution above their religion, then of course they will be considered infidels and heretics, but at least I would then be quite willing to support them,” Carson explained. “I don’t care what religion or faith someone belongs to. If they’re willing to subjugate that to the American way and to our Constitution, then I have no problem with that,” he said.